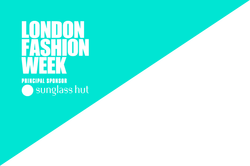 It's Day 3, and today we're focused on Trade Shows & Events taking place in London as part of the annual nine days of festivities (10 this year if you factor London Fashion Week started on September 18th. So for everyone that's interested in London' creative sector' trade scene here's a snapshot of the main events. The doyen of trade shows, creative festivities and public events in late September is the London Design Festival. For a full list of shows, talks, seminars and more click on the link. The ultimate trade event for the world' fashion buyers keen to see what's in season for Spring Summer 2016. It's the largest trade event focused one hundred per cent on Design, Architecture and Emerging talent from around the world. The show where trade, press and visitors intermingle. Tent captures art and design on a grand scale with participants spanning the globe. What: Making Pictures is a unique opportunity to pick up useful tips while making valuable connections with others in the industry. All in the art and framing trade are invited to join us for informal evenings of networking and learning at locations around the UK. What: Wessex Pictures will be joining 10 other companies who have come together to give the art and framing industry it's very own travelling roadshow. There are 12 shows planned this year covering most of the UK. What: ArtExpo in Hamm is an international trade show for the art and framing industry. Exhibtiors from all over the world will come to exhibit in one hall over one weekend in October. Products will include mouldings, machinery, glass, art prints, etchings, graphics, paintings, originals, sculptures, picture frames and equipment of all kind.